Bio and Performance Record: Ridden by Karl Cook in Amateur & Open divisions and Grad Prix level. Conquistador was originally registered under the name of Bush VD Heffinck and is the full brother of Utrillo van de Heffinck (Utrillo Z) Int. jumper ridden by Franke Sloothaak. Conquistadors full sister, Vanite van de Heffinck, is the Dam of Dax van D’Abdijhoeve (BWP), the world champion of the 7y. old horses 2010. Conquistador was the leading young jumping horse 2008 Sydney royal, Winner Copabella Futurity, 3rd World Cup Sydney Royal 2009, 4th World Cup Siec 2009. 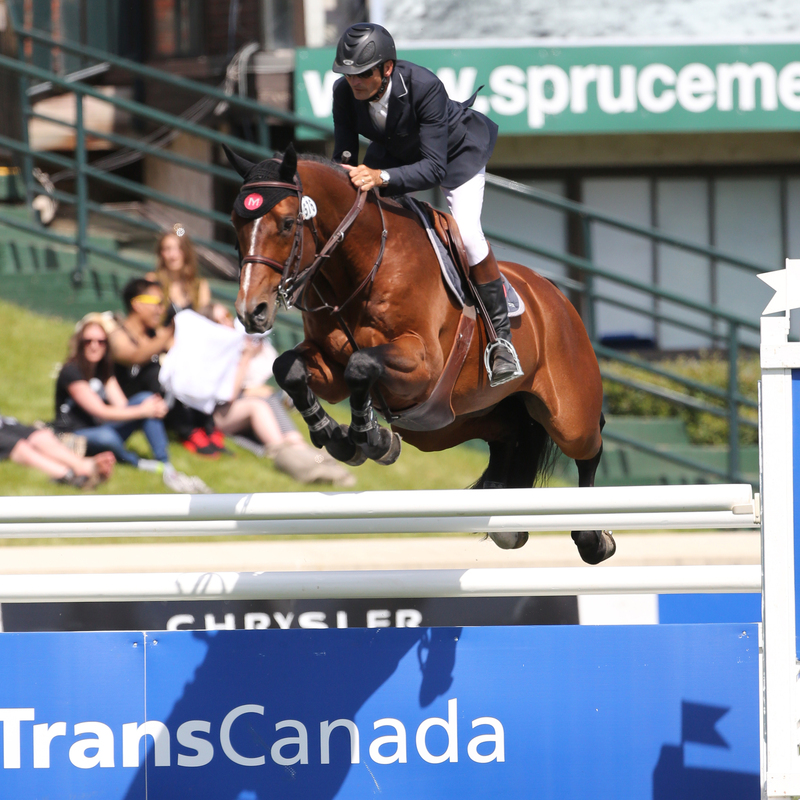 During 2011, Karl & Conquistador had several top Grand Prix placings on the West Coast, Spruce Meadows and Belgium. Including 2nd in the $50G Las Vegas Nat’l, 3rd in the $31G Sacramento GP, 3rd $25G Hits Desert, 3rd $25G Surfside Del Mar, 4th CSI3* Lummen Belgium, 7th CSI5* Spruce Meadows. ASB Conquistador is bred very similarly to the outstanding Cornet Obolensky. His offspring in the 2013 BWP/NAD Keuring “Larado WTF” tied for first place in the 2YO Futurity Championship and “Lemington WTF” tied for 3rd & “Leonidas VF tied for 4th in the 2YO Futurity.